The cold has certainly come to central Maine. 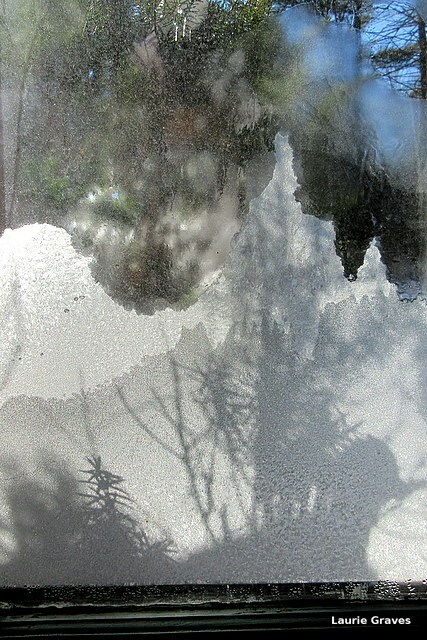 When we got up this morning, there was ice on the inside of the windows, which melted as Clif stoked the wood furnace and brought the inside temperature up to something approaching warm. Clif, intrepid soul that he is, still took the dog for a walk up and down the road. 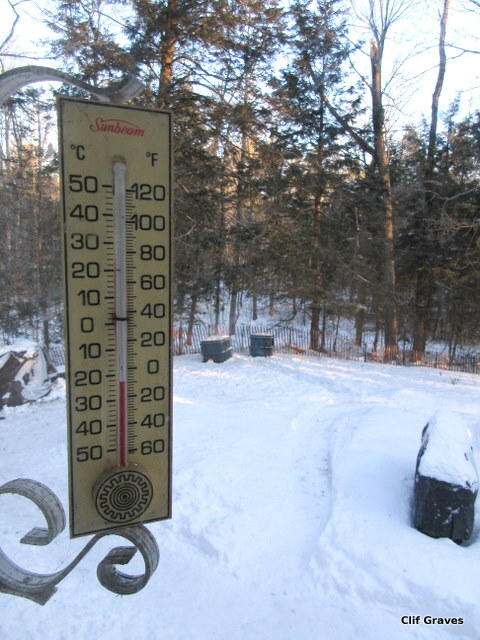 When he came back, he snapped a picture of our outside thermometer. As we Mainers might say, it was a little brisk outside. 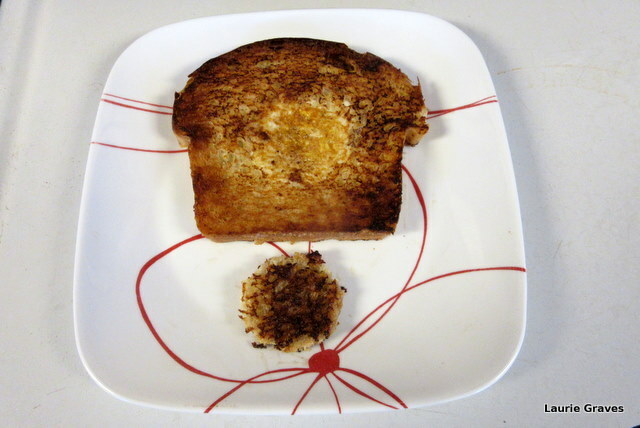 On such a cold Valentine’s day, we both decided that a special breakfast was in order, and Clif made eggs and toast. To celebrate Valentine’s Day, we had originally planned to go to a movie and then out for gelato afterwards. But the cold changed our minds. Instead, we decided to stay home, where we could tend the fire in the wood furnace. We do have back-up heat—propane and electric—but nothing warms a cold house the way wood does. This evening, I’ll be making a quiche with smoked cheddar, a rich dish for special occasions only. We’ll have a couple of rum and cokes and listen to music. We’ll watch a movie at home. In the next few days, the weather is supposed to be significantly warmer. Then, we’ll venture forth for that movie and gelato. Until then, we’ll stay in our own snug house. Berry – stay warm!! And Happy Valentines Day!!! Quiche with smoked cheddar sounds delicious. Enjoy you valentine celebration. It came out pretty darned well, if I do say so myself. Eliza, it didn’t get quite that cold in central Maine. I expect that forecast was for northern Maine. But it was plenty cold enough. An easy thing to do. Derrick, me, too! It’s a little too cold here, even for a Mainer. Judy, in Maine we like understatement. (I expect the same is true for New Hampshire.) And, yes eating well is a good plan during such confinement. Our hillside location seems to spare us from the coldest temperatures. We only went down to 8 below yesterday. Stay snug and cozy today. Brenda, that’s plenty cold enough. We did stay snug and cozy.